a cute little tutorial to go along with my last post on fabric flowers. 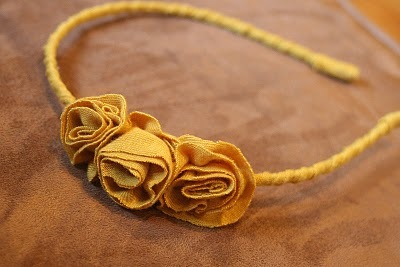 i love the color of this headband. headband and tutorial from on my side of the room. finding the perfect diy projects can be time consuming... luckily i am here to do it for you! welcome to GS, my personal archive for all things DIY! YOU Did*It*Yourself: felt fortune cookies!